The Lower Modernisms – 017. 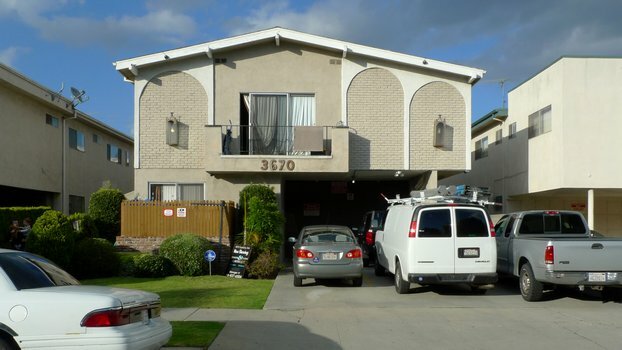 Introducing the Dingbat. May 30, 2011 by James Black. 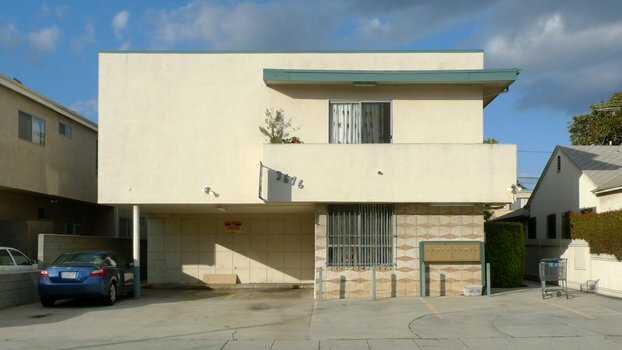 The dingbat apartment building was the predominant form of multifamily housing constructed in Southern California between 1950 and 1970, a typology that as such probably accounts for the majority of all buildings in Los Angeles that can reasonably be considered to be Lower Modernist – modern in style and intent, but failing to meet the rigorous criteria of the High Modern. 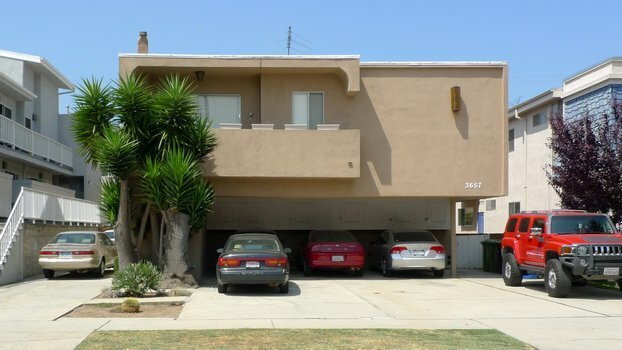 This useful term – “the basic Los Angeles dingbat” – was probably invented by Francis Ventre during the year he taught at UCLA and lived in a prime example of the type within handy traffic-roaring distance of the San Diego, and denotes the current minimal form of multi-family residential unit. 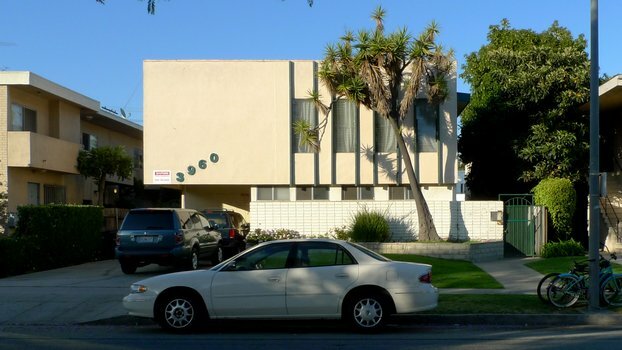 It is normally a two storey walk-up apartment-block developed back over the full depth of the site, built of wood and stuccoed over (175). 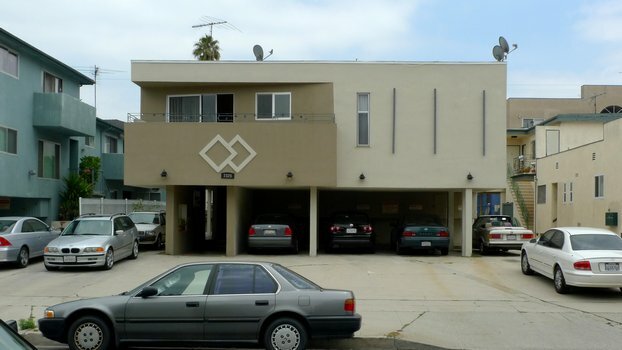 The etymology is uncertain, though it is often asserted that the term derives from the affinity between typographical “dingbat” symbols and the starburst ornamental elements often affixed to the front of dingbat apartment buildings. I am inclined to doubt this explanation, because I doubt that laypeople were widely aware of the “dingbat” as a typographical symbol (and not merely a pejorative meaning “crazy” or “stupid”) in the days before personal computers. But today the symbolism fits nicely. 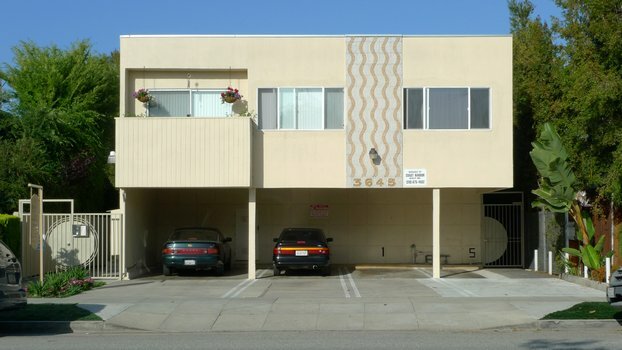 While it is certain that the term “dingbat” describes a type of apartment building in Southern California, there exists also a challenge to delineate what is, and what is not, a True Dingbat. Countless hours have been spent debating this utterly insignificant point, at least in the social circles in which I circulate. 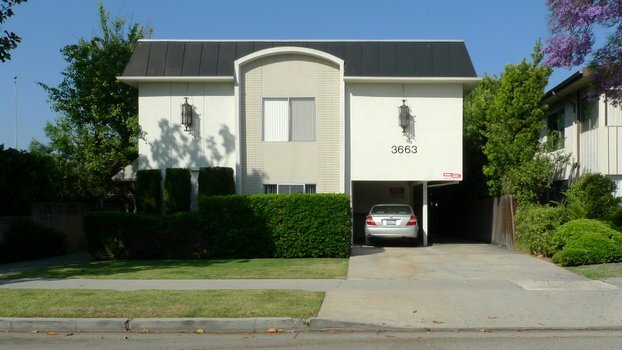 Dingbats… are typically two-story walk-up structures with a side-loaded exterior corridor and exterior circulation. 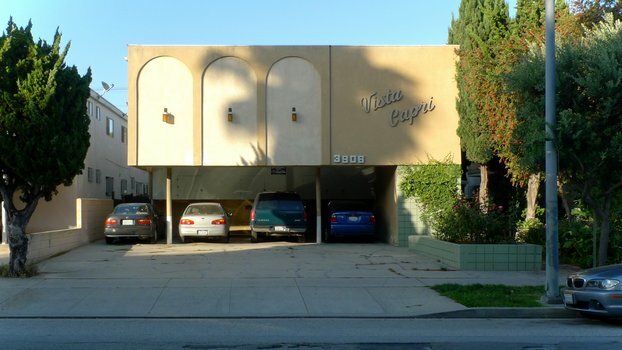 Usually a boxy rectangle of wood construction with stuccoed exterior walls, these 1960s apartments display an eccentric, embellished, cheap, and often ridiculous version of the pure Modern style exemplified by Neutra and Schindler. 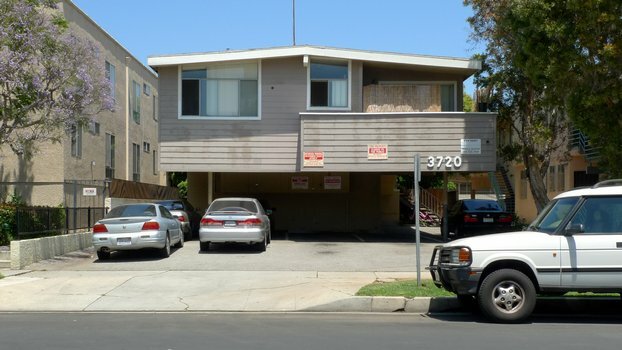 Designed to be cost-effective, they were built to fill the entire lot from the sidewalk property line to the back, with parking efficiently tucked under the living areas in carports (11). I would follow the lead of Banham and Marshall and define the dingbat based not on the swinging 1950s-1960s stylistic clichés that we associate with the dingbat, the color schemes, fanciful nameplates and starburst ornaments, but rather based on technical criteria such as occupancy, date of construction, and parcel size. 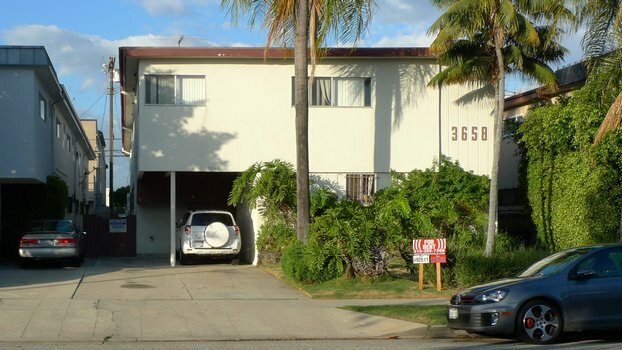 The dingbat is a two-story wood-framed apartment building constructed between 1950 and 1970 on a single-wide lot of approximately 7500 square feet and comprising five to 12 units, each accessed by an individual entry. 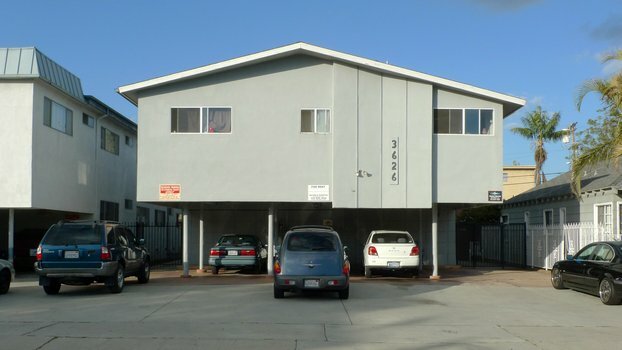 If a building otherwise dingbat-like violates any of these rules, I consider it to be Dingbat-Like or Dingbat-Styled, rather than a True Dingbat. 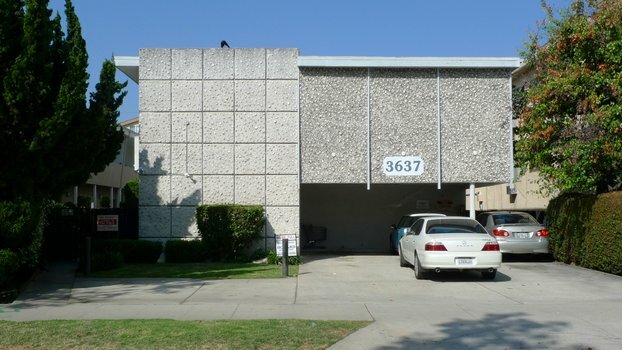 The dingbat commonly uses underslung parking in exposed carports, and almost always has a cement plaster finish, but neither of these is essential to its character. 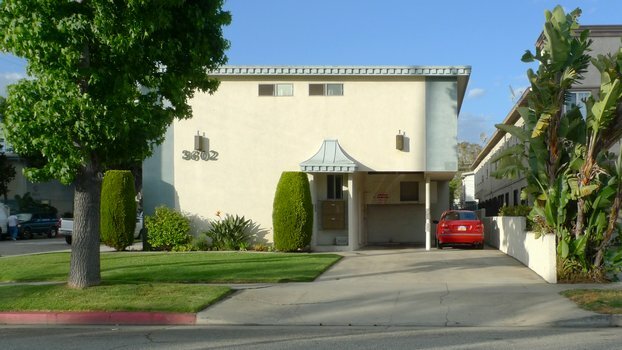 My personal history with dingbats began in 2002 when I moved to Los Angeles to attend architecture school and moved into the dingbat at 3708 Midvale Avenue in Palms, pictured above. 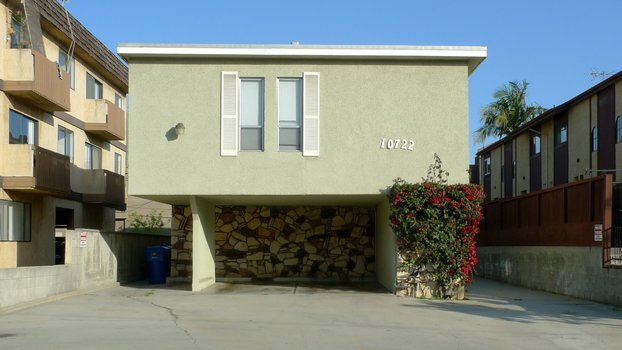 In the neighborhood of Palms, the dingbats are hard to miss. 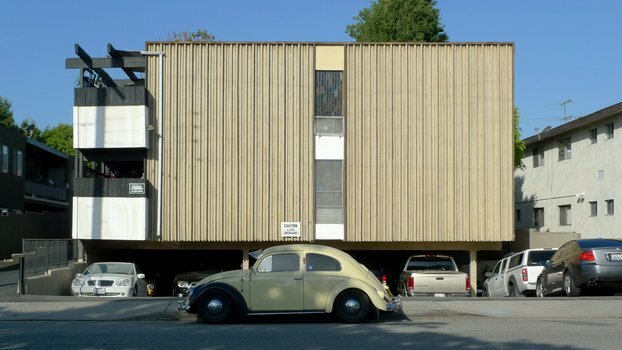 Armed with my copy of Banham’s Los Angeles, it was not long before I became a Dingbat Ranger. 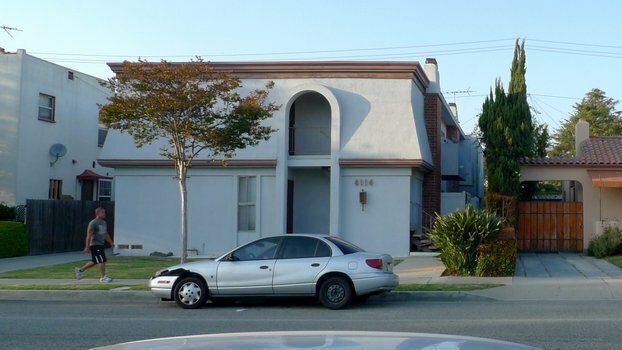 I wrote an essay on dingbats for Dana Cuff’s “Provisional City” seminar at UCLA in 2003; and by 2004 I had begun planning my magnum opus, which was to be an infinitely long book on the history, theory and practice of dingbats code-named The Dingbatifesto. 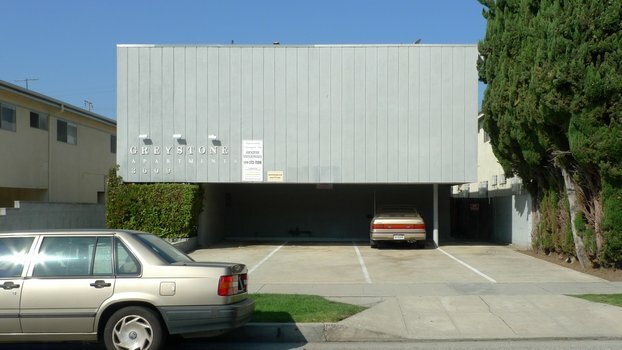 The darling dingbat was what truly indoctrinated me into the Lower Modernisms, and this present blog project is both a derivative of my interest and inconsistent research into dingbats, and a response to my failure to sit down and produce that book-length Dingbatifesto alone out of my own initiative. 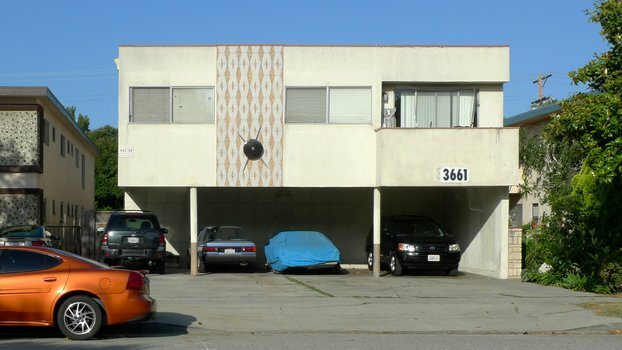 I will be scooped, fortunately, in my efforts to create the first book wholly about dingbats (excluding designer Clive Piercy’s wonderful collection of dingbat snapshots, Pretty Vacant). 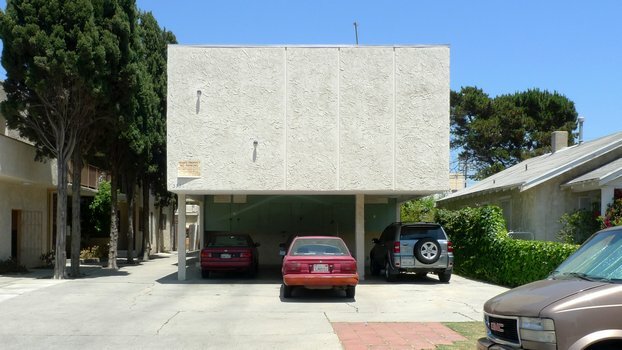 In a few months the Los Angeles Forum for Architecture and Urban Design, organizers of last year’s ”Dingbat 2.0” design competition, will be publishing a book documenting the competition and collecting essays and features on dingbats. 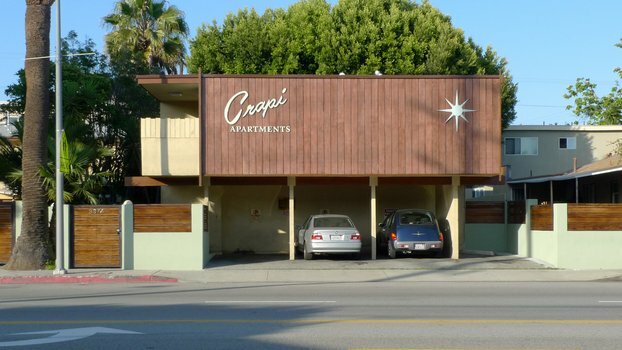 My co-author, architect and LA Forum Vice-President, Thurman Grant, and I are contributing a kind of illustrated primer on dingbats. I have spent the last few weeks on the prowl, dingbat hunting, and I am pleased to present below a gallery of photos of righteous specimens. 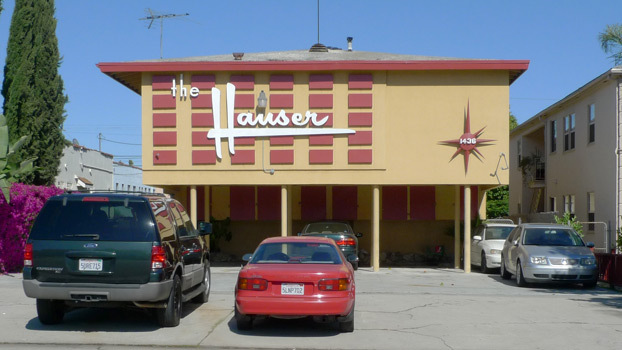 I hope to share a cornucopia of dingbat fun via this blog in the coming years. The Dingbatifesto is going online and now it can be both virtual and infinitely long. I love Dingbats to pieces!! 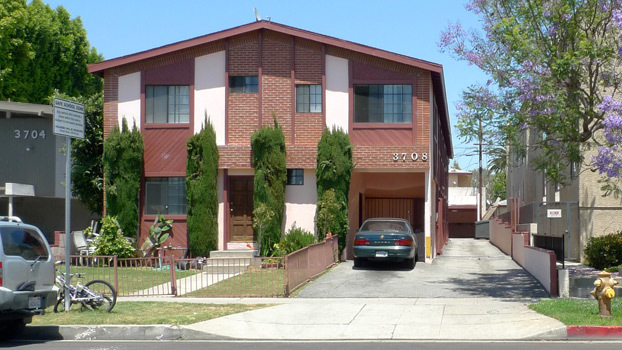 In my fantasy world, every last one of these dreary, hideously tacky eyesores would be bulldozed and the tenants magically re-housed in ANYTHING but a monstrous “Dingbat.” Gawd, there are tens of thousands of them throughout California, all of them awful, low ceilings and sprayed-on stucco, monuments to making a quick buck as cheaply as possible. 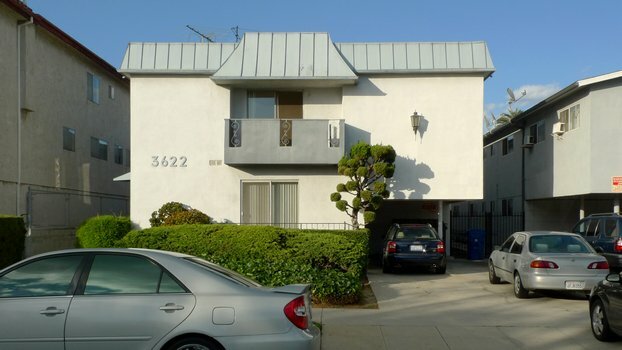 I lived in a brand new Dingbat in Ocean Park, Santa Monica, in 1971 (hey, I was a young clueless student), and even new, the ultra-cheap aluminum window frames and bathroom fixtures looked worn & tired.